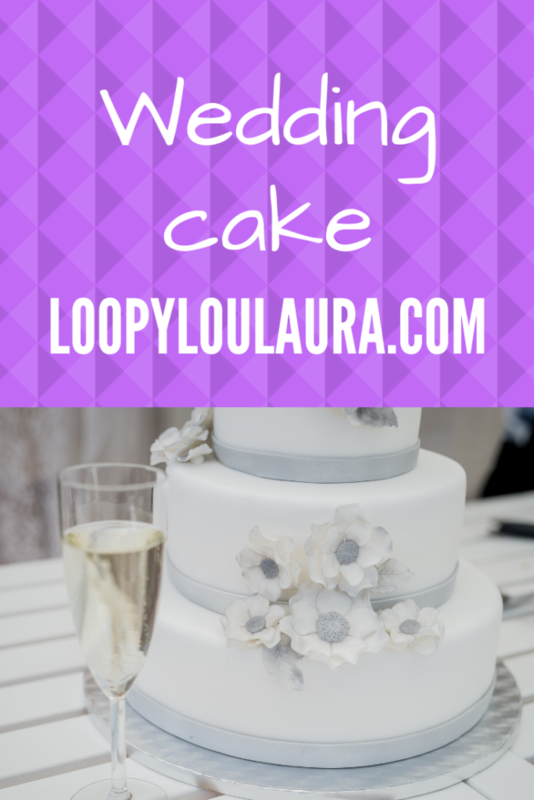 One of the stars of the show on the wedding day has got to be the cake! Traditionally made of fruit cake, today’s wedding cakes are now based on the couple’s own flavour preferences. 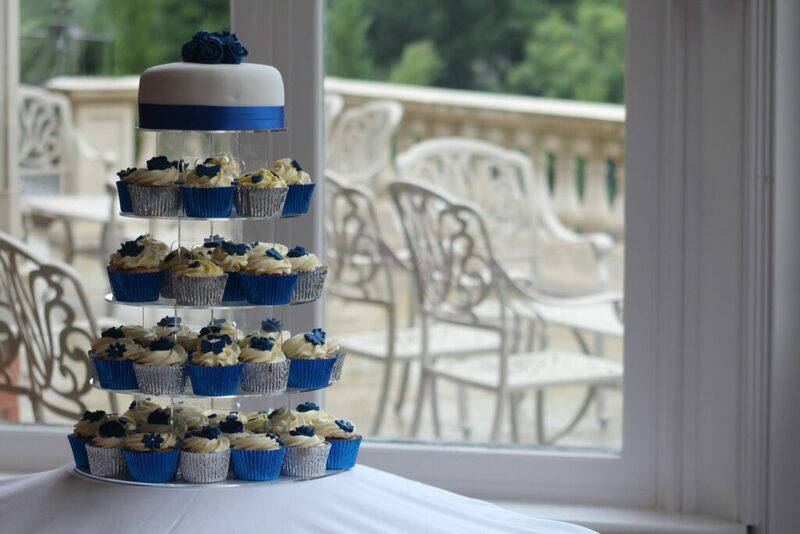 Some couples choose to have a tower of cupcakes or doughnuts. 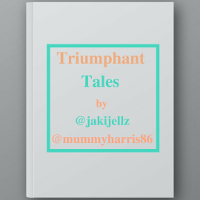 The wedding colour scheme may be incorporated. Fruit cake was chosen because it would not go stale and could be kept for the other tradition of having the top tier as a christening cake for the first child. 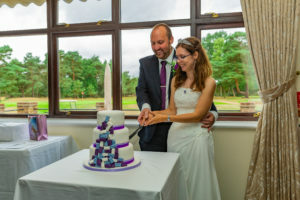 Cake was originally a luxury item so represented the social staus of the couple and was handed out to guests to wish them good luck in exchange for them wishing the couple well. 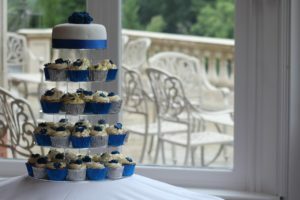 The idea of multiple tiers comes from a medieval tradition for the bride and groom to kiss over a pile of cakes which represented the hurdles that the couple might face together. 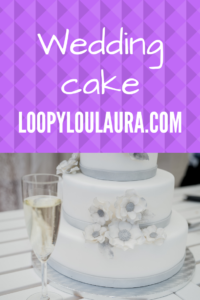 The white icing was expensive when sugar was scarce and it represented the virginity and purity of the bride as well as the status of the couple. 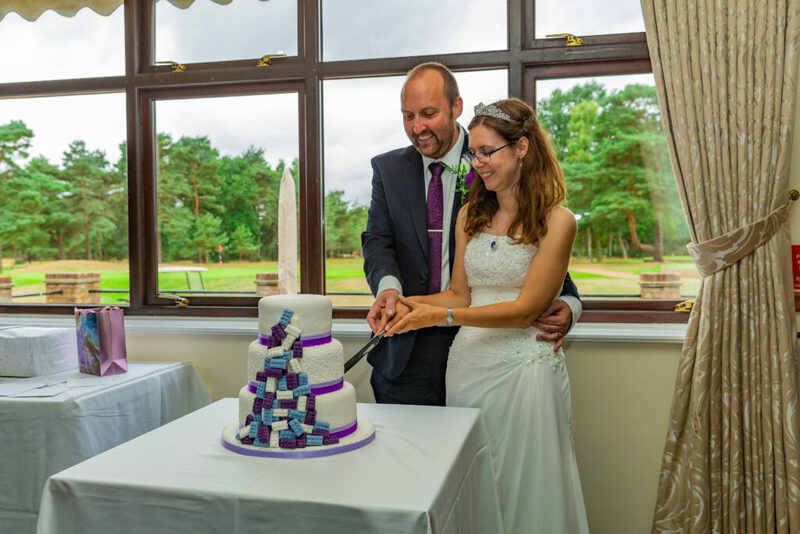 The newly married couple cut the cake together to symbolise the first of many tasks they will comlete together over their married life. 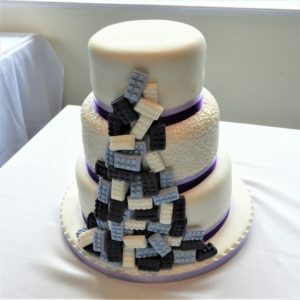 Our wedding cake was 3 tiers. 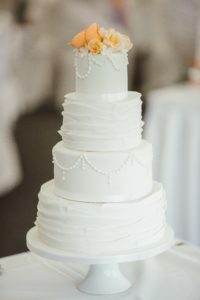 The top was a lemon gluten free tier and as it turned out I was the only gluten free person in attendance so I ended up eating the entire tier by myself (not all on the wedding day!) The other tiers were chocolate and vanilla as we felt this would suit our guests best, especially the children. 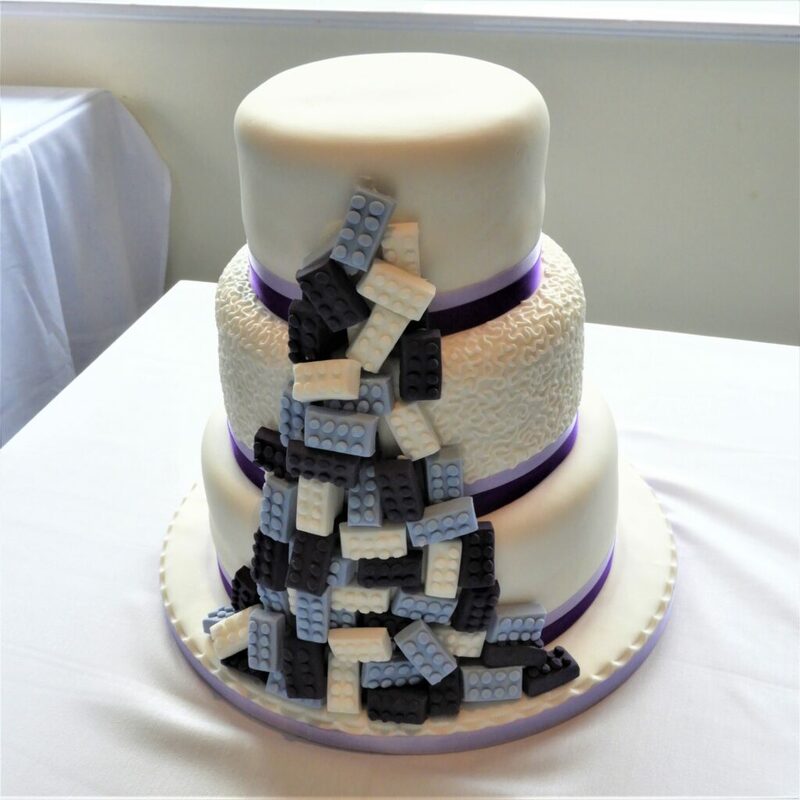 The front of the cake was plain and then the back had a cascade of icing Lego bricks which I had designed as Chris and I are both huge Lego fans! Wow a beautiful cake! 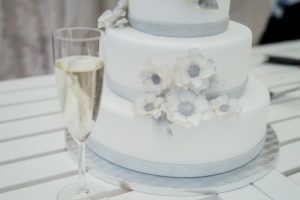 Ours was a fruit cake 3 tier made by my auntie, decorated with stunning iced flowers and foliage. We kept the flowers and used them on both our daughters christening cakes. The cake didn’t really keep well enough to eat!